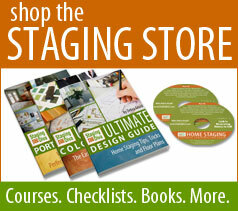 Staging Diva Provides You with a Guide to Turning a Profit! Wondering how much you can earn as a home stager? Before jumping into your own home staging business, it’s natural to question how much money you can make. However, you might be surprised to learn what the actual earning potential is for home stagers. 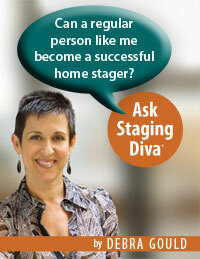 In Staging Diva Debra Gould’s second year as a home stager, she was already earning up to $10,000 a month! Depending on your location, you can earn anywhere from $300 to $600 for a single home staging consultation. And your only real expense is your fuel, because everything else can be billed to your clients. Keep in mind that this only reflects the money you make from home staging consultations—it doesn’t include what you can earn if you actually turn some of those consultations into full-blown home staging projects. In the Staging Diva Training Program, Debra shares the formula she used to build her business so you can do the same.